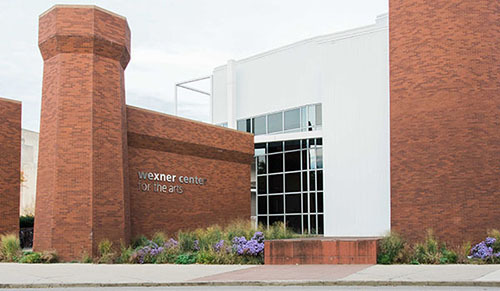 Site set-aside (2017-ongoing) is third in a sequence of Living Culture Initiative artworks located outside the Wexner Center for the Arts including The Beanfield (2006-08) and The Virtual Pasture (2009-11). For my final project here, I removed the plot from agricultural production by planting a mix of native grasses and forbs (including, for example, goldenrod, purple aster, and wild indigo) to establish a permanent, undisturbed, carbon storage bank. The work’s title, Site set-aside, refers to a former U.S. agricultural policy requiring farmers to set aside a percentage of their total acreage for conservation uses. 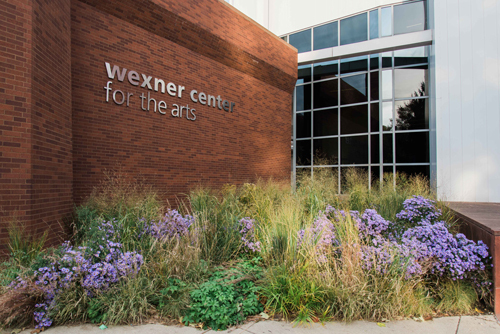 The planting recalls an ecological condition from long before The Ohio State University was situated on farmland at the northern edge of the city of Columbus, and likewise it echoes the original Wexner Center landscape designed by Laurie Olin, as well as the Paula Hayes garden planted in 2011 atop the building’s film/video theatre. Yet Site set-aside is not nostalgic for what is gone nor does it imagine paradise lost. Instead it projects forward and out towards our ever-becoming world.